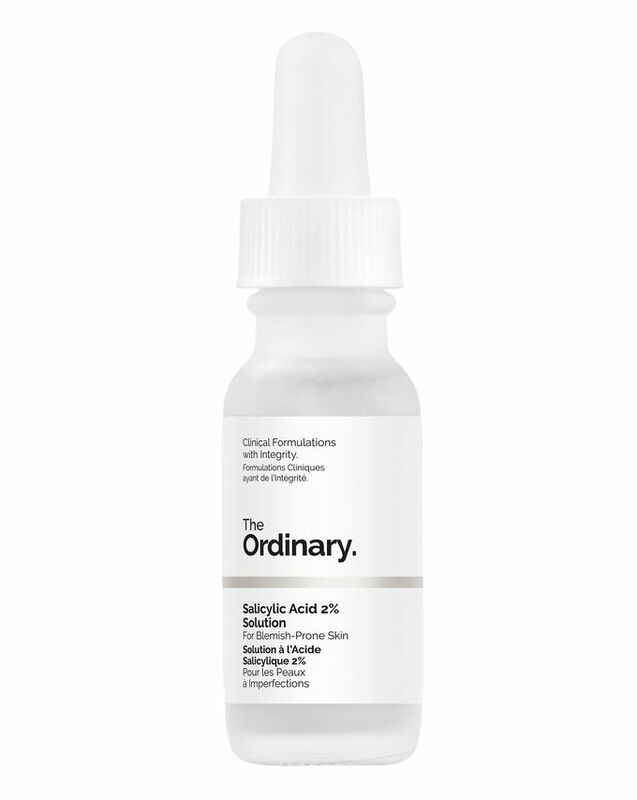 Offering powerful, concentrated treatment – at a surprisingly tiny price – The Ordinary’s Salicylic Acid 2% Solution is ideal for oily, congested skin. Supercharged with salicylic acid, the pH-balanced formula penetrates the interior walls of pores to unclog and eliminate blemish-causing impurities and balance excess sebum production. The welcome addition of witch hazel helps to reduce redness and alleviate discomfort, leaving your complexion clearer and calmer, with a more even and refined texture. Use in the morning and evening. Apply a small dot directly on spots for visible improvement or apply a small amount over the face to maintain visible clarity with continued use. Avoid the eye contour and contact with eyes. Do not rinse off. Continue with additional skin treatments as needed. If irritation occurs, cease use and consult a physician. Use only as directed on unbroken skin. Patch testing prior to use is advised. Please see below for an in-depth guide to patch testing. Keep out of reach of children. Patch tests are an easy way to help predict if you will have a negative initial reaction to a new product. It is recommended to perform a patch test before incorporating a new product into your routine. We have outlined a general method for conducting your own patch test. - Apply a small amount of the product onto a clean area of skin on the upper forearm. - Keep the area dry, preferably covered with a bandage. - After 24 hours, uncover the area and rinse. - If any redness, burning, itching, blistering or irritation is observed at any time throughout the test, do not use the product. Please note that the patch test is only for determining initial irritation reactions to products and does not guarantee similar results when applied to other areas of the body (including the face) or after continuous use. It does not account for underlying conditions and should not be used for the diagnosis of hypersensitivity or allergic contact dermatitis. If you are concerned about starting a new product, please consult a dermatologist prior to use. I have a combination skin type, blackheads on my nose and forehead zone. At first it really helped me, dried out blackheads, minimized pores, but later the skin became even more oily than before. I've been breaking out lately and after it dries out it leaves a mark/blemish on my face. I decided to use this salicylic acid the next time I broke out. It not only dried out the spot quickly, but I have no marks nor blemishes. I'm so thankful. Really clears up any underlying scarring and redness from spots. A little goes a long way. It helped my oily skin but does make it slightly dry in some areas so wouldn’t recommended using it more than 2 or 3 times a week. This product did nothing but break me out to the point where I was so stressed to go out of my house. My skin ended up being the worst it has ever been where friends and family would share their concern and tell me how my skin essentially looks like its rotting (which was true). I ended up researching online and found couple of videos talking about how salicylic acid tends to break you out and essentially purge your skin for the first 4 weeks but if it continues you need to stop using it. As someone with brown/Indian skin this was a nightmare since the scaring/discoloration left by the pimples were dark and took ages to go (in past experience almost 3-4 months to fade). I really wish I saw that video before I started this treatment. One thing I learnt from this experience is that never use acid lightly, and also to limit the amount of skincare and let your skin breath. I'm really disappointed with this product. Don't make a mistake like me, sob sob. When I saw this product I was really excited as I had heard how much salicylic acid helps with blemishes. when I first started using the product it was fine however did nothing at all to my skin yet leave a shiny film therefore did not use it much but one day my skin had a lot of blemishes so I applied the product into my usual routine and went to bed I woke up at 3am to my skin stinging and it felt like lava yet I fell asleep again to be woken up at 5am to my skin burning even more to the point of me actually crying I got up to wash the product off with freezing cold water as it hurt too much and was delighted to then see that me face was covered in burns there was even some areas where my skin literally was bubbley due to it burning a few layers of my skin. These later on in the day turned into scabs my skin was burned, dry and sensitive. I could not use a normal gel cleanser as this hurt too much I had to use a balm and applied heaps of suncream and aloe. I had to take a day of school due to it being to embarrassing. It took a few days for the scabs to fall and I am still left with some scaring. Overall I just want to tell you however much you have been wanting this product weather you believe your skin can take it DON'T BUY there are sooo many other products containing salicylic acid that won't do this. This has happened to so many people some have even got blisters infections and had to go to hospital this is a serious thing the company have to sort out. Please be careful I don't want what happened to me to happen to you. Its really annoying as I saw a comment just like this when buying this product yet still purchased. My skin is prone to acne and as a result I was left with a lot of blemishes. This product has helped to decrease their size and discolouration, however, the difference is hardly noticeable. I love The Ordinary products regardless, though. Ordered my third bottle. Been using this product for about 9 months now. I use this about 5 nights a week. My skin looks more even now as compared to then. I still get some breakouts time to time but not as much as last time. It calms spots and reduces the size fast. Definitely effective and will continue to use it! Always apply moisturiser afterwards. May be drying for some. Справляется со своей задачей.Очищает поры, минимизирует высыпания,немного осветляет тон кожи. Лучше пользоваться при необходимости, не на постоянной основе. *** Copes with its task. Cleans pores minimizes rashes, slightly brightens skin tone. It is better to use if necessary, not on a permanent basis. I brought this after seeing a (non advertised) review on Instagram as I’ve been suffering from spot prone skin especially around my jaw line. I noticed a difference after about 2 weeks of twice daily use and so far I have had a lot fewer breakouts and any I have had have gone down a lot quicker than they would previously. I was looking for a nice BHA to apply once or twice a week for light exfoliation. My skin isn't usually something I regard as particularly sensitive, and I've used salicylic acid before, sometimes even of a higher percentage. This, however, broke my neck and chest out in angry patches of hives, and left smaller hive-live red bumps scattered across my face. I patch tested it on a clean spot of skin to be sure and yes, this is the culprit. I never expected to have such a bad reaction, and I've never had a reaction to skincare this bad before. I'm disappointed, I wish I knew why this was so irritating to my skin! Really lightens up my blemishes! I read a lot of reviews before I used it to make sure I knew what I'd be putting on my face. In the guidelines provided by The Ordinary, they do not encourage its use in the morning. I think it will burn your skin especially if you get exposed to the sun since it makes you more susceptible to sunburn as it's an acid. They also encourage the use of sunblock if you're gonna use it. I use this with the Niacinamide and a mild toner (with low ph). They all work well together. Very impressed with how quick this product works. Only used it four times and can already see results and much clearer skin. It doesn’t burn my skin and dries quickly which is great. I would recommend using in the morning and also at night before bedtime! I would advise anyone interested in purchasing this product to read the reviews of this product on The Ordinary's website. There are dozens of reviews from people who have experienced the same issues with this product as I unfortunately did. I applied a small dot of the solution to each spot on my skin, and repeated this the next morning as instructed on the product's box. That evening when I washed my face I noticed that a layer of skin had come off the top of one of the blemishes, and it was bleeding quite a bit. I didn't apply any more of the solution and hoped all would be well. I woke up the next morning to find that the blemish had scabbed over as if it had been burned and there was a blister beneath it! Another blemish had also scabbed over. I'm now praying that none of these scar as they look horrendous. According to the Ordinary 2% is the most salicylic acid that the EU will allow in cosmetic/skin products and I can see why. This stuff is just far too strong, even for someone like myself who does not have sensitive skin. If you do buy this product, I would advise using it only once every two days until you establish how your skin will react. I definitely will not be using it again, even in a diluted form. This product worked its magic on my skin. I suffer from acne on my jawline. I started using this product and it tingle the first time I used it but after using for a couple of weeks my spots were gone. I use this product every morning and my spots have just disappeared. I found this to be really drying on my skin, so I personally wouldn't use this as an all over treatment. However, when used as a targeted spot treatment it definitely helped to reduce breakouts. I popped it directly on any breakouts at night and in the morning they would be practically gone. Really love this product it really helps me to control my hormonal acne. I've always had acne, I've found many amazing products to help, this is not one of them. I've never broken out more, my face became inflamed and painful to touch. I by no way have sensitive skin. I would recommend Malin and Goetz salicylic gel it works amazingly and yes its more expensive but pay the extra to get the quality product. Trust me its worth it! I use it once a week all over my face and daily to spot treat the breakouts I have, really does wonders for my skin! Salicylic acid is what it is - a miracle worker/doer/maker - no question. Get it in any shape or form especially at a price like this. I can’t even describe how sensitive my skin is. How red and angry it gets when it doesn’t like something. This little potion puts it back in it's place. I mix 3 drops of this with 5 drops of The Ordinary Niacinamide every night and I’m happy with myself. My self-esteem has improved, my face is a normal colour and it doesn’t misbehave. We’re in a happy relationship thanks to Salicylic. Cheers! I have bad acne so I thought I'd try this out but now every spot turned into a yellow paste, my face is bright red and burns like hell. I tried this last year and it done the same and I thought I'd try it out again but I really shouldn't have because it shouldn't be this painful. I haven’t had a spot since I started using this serum and completely changed my skincare routine. Recently I ran out and had to spend 3 days without it, I broke out with angry, sore spots all over and now I’m back to using the acid they are completely gone. My previous spot treatments have left behind discolouration - this is the only thing I’ve used that hasn’t as it mostly works by preventing the spots. Personally I haven’t experienced any type of increased sensitivity or negative reaction. This product is very famous in Thailand right now and I wanted to try it because my face is full of acne. I have really noticed a difference in my skin after a few weeks of using this product, overall my skin is clearer, blemishes have cleared up, and the overall texture has improved - love this product and the price. I have used this for 2 weeks now in conjunction with other products from the Ordinary and my results have been excellent. This product does however contain Witch Hazel, which can cause symptoms and reactions many of the bad reviews have cited. For me however, I've found any pimples I had are well on the way to recovery and it has left my skin feeling very smooth. I have very hardy skin, so I use this product a.m and p.m every day along with a quality moisturiser. I have combination/oily skin and suffer from breakouts. I recently changed my skincare routine to the ordinary products as they were such good value for money compared to my old skincare which was way too expensive. Within a few days my skin looked so much clearer from using this morning and night, it was amazing! I now have been using this for a month or so and my skin is so much better I never get spots! And it is just glowing and I suffered from redness which is evening out, also I have noticed my pores have gone down in size! Absolutely amazing, couldn't recommend this enough, especially recommend using the Niacinamide solution alongside so you get the best results. Clears up your skin! Just remember to moisturise after using. This is unreal using this along with the toner from the ordinary on a daily basis has 10000% sorted out my skin, always make sure to use a moisturiser afterwards though as these products can make your skin dry. I’ve been using the product in the AM & PM after cleansing and before moisturising and it has transformed my skin within a few weeks of using and has reduced my acne massively. I would highly recommend. It's very good, I use it every night. Be careful with this one. I know it says to apply morning and evening, but to be safe I’d test in on your skin every other day first. Generally, salicylic acid should only be applied on alternate days, and after 3 days of using this product, I’ve got a really nasty, painful burn blister above my lip. If using I think to apply a very small amount directly onto the spot, try not to layer it onto a large surface area. Obviously, it works for some people, but for me, it’s one star because of the bad effect it has had on my skin. I bought this after reading the reviews, however was incredibly disappointed. My spots were worse, they became red, bumpy and started to become gooey. Was even painful to look at! I did a patch test elsewhere on my wrist / neck and it was fine, however reacted badly to my spots, so not sure what happened. Best spot treatment, I have tried a few and most either didn't work or were too harsh on my skin. This stuff is great though I put a little on any spots before bed and in the morning they are either gone or a lot less angry and red looking. Fab would definitely recommend. I used this AM and PM as recommended on the box. For a few days my skin was fine, then out of nowhere I felt a burning sensation and washed it off straight away, however I was left with a rash like reaction. I’ve always had trouble with spots since a teen and I had tried what felt like everything to try and get rid of them. My sister bought herself and myself this product after reading the positive reviews (whilst also noticing the low price tag). We both tried it and we’ve both had such positive results. Both our skin is clear which is something neither of us has experienced before. Can’t recommend enough, changed my life! I have suffered from teenage acne on my forehead and on my cheekbones for 3 years now (some days worse than others). I have tried a range of acne medicines from the doctors which was a fail! Came across this just in time for summer holidays and I can confidently say it has helped clear small breakouts overnight along with glycolic acid by alpha-h. I would definitely recommend this. I have overall dry but very oily skin at the T zone with some zits and blackheads, I used this twice a day with the Niacinamide 10%+zink 1% and it worked WONDERS!! My skin has never been more clear! I used it twice and I didn't like it. It stings and makes the skin feel tight and dry. I will stick to Paula's choice BHA. The rest of the ordinary products are excellent but this one is not. I've been using this for a week now and it is so good, 95% of my spots and acne is gone. It is worth the price and it is really affordable. I've got really sensitive skin and it does not irritate my skin one bit. Amazing product 100% recommend. I like it a lot, I apply it am and pm over my water-based serums and before Resveratrol and other moisturizers. It is very mild for me, I never experienced any redness or dryness where I applied it. Great for the price! I bought the bigger bottle and it lasts for ages. 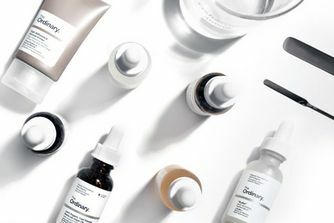 I love all the products from The Ordinary and I have 20+ products from them. Absolutely amazing, have used this twice and can notice my blemishes have faded already. Highly recommended, absolutely brilliant. I have battled with acne for years. Numerous doctors appointments, numerous prescribed medication and somewhere along the line, I always ended up right back at the start with huge, painful, red lumps under and on my skin. I only bought this as I was buying another product for my eyebrows and this was recommended. Thank god I did because my skin is now perfectly clear and when I have one active spot, I just pop this on overnight and it’s calmed down by morning or possibly even gone. I even have the worst sensitive skin that usually just breaks out even more if I apply products but this is AMAZING! It does make my skin a little dry but nothing that a moisturiser can’t sort out. This has really helped my skin. In conjunction with other products from the ordinary, it has helped to reduce my spots, big and small, and made my skin more radiant and healthy. I have received so many compliments since using this. Be quick to buy this, as at such an affordable price it gets snapped up very quickly. I suffered from hormone-related breakouts and struggled to find a single product that could calm my skin (was breaking out every day). I now use a tiny bit of this (really tiny) every day on a cleansed face and it is my skin saviour. This product works perfectly for those pesky spots which turn up randomly on your face and after using this a few times now, I can say it definitely reduces the appearance of any sized spot overnight. All you do is simply apply using the pipette directly onto the spot and leave to dry. By the morning it will have vanished significantly, if not entirely! Just be careful on how much you put on because this acid can be very drying! I have oily/combination skin with a tendency for spots along my jawline and on my chin. I started using this a week ago. In that time, the remnants of spots have cleared up, and while a new one did form it has almost gone again within two days. I’m not holding out much hope that it’ll shrink my pores because honestly, I don’t think any product exists which can, but I’d be delighted to be proven wrong on that! I really hoped to like this product as I have a salicylic cleanser which works really well for me. However, I didn't really notice any difference. I tried it both on individual spots and over larger areas. But maybe that is due to my salicylic cleanser already doing the work! I have been using this for a few weeks now it has been like magic for my skin. The amount and intensity of my spots have reduced dramatically. Will definitely buy again! Been using this product for just over a month now and my skin feels so much better. Still struggling with spots but significantly better and my skin is no longer anywhere near as oily as it used to be. Apply this salicylic to my face and wow! It really works on my skin and I noticed that whitehead become less visible. It reduces my oily skin in just a few weeks. At first, I feel the burning sensation of using this but not for the second time using. Overall, it reduces my acne and pimples and also doesn't give me any breakout. Nowadays, I only use for 2-3 times per week. I love this product so much. When using it, I hadn’t noticed much of a difference though I wasn’t too bothered because it was so cheap BUT when I stopped using it, I found my skin being more textured, spot prone and overall, more uneven. This works wonders. Absolutely love this, I wish it came in a bigger bottle. Clears my skin almost instantly, whether I apply it topically or all over my face. Works well to draw out my blemishes and dry them up quickly or keep my skin clear if I choose to use it regularly. I have been using this for a little over a month now and my spots...what spots? I had little bumps on my cheeks that never progressed to spots and after a couple months of using this now my skins never been better. It’s clear and feels really glowy. Just a shame I have to get on a waiting list to get it! Great little product and fantastic price. I've a combination skin/oily. Using am and pm. It's like a watery gel. It doesn't leave any oily feeling like the Paula choice 2%. Leaves the skin soft and flawless. I'm rotating this with with glycolic acid. I'm glad I tested it. The money I save on this can pay on fancy serums.... I love it. I have been suffering from acne for as long as I can remember. I've been using this stuff for a month now and my skin has never been this clear, I'm so impressed. My concern aren't pimples but mostly blackheads and I have to say it did nothing for them. So I tried it on my boyfriend who suffers from acne and you could see an improvement on him, not amazing but it was still an improvement. So it really depends on your skin type. I've been struggling with hormonal acne for 8 months, it just came up out of nowhere and as anyone who has suffered with acne will know you literally try anything & everything to get rid of it. I have used a lot of products from high end, low end & homemade to help control it and this product here has worked the best for me. For the last two weeks I have been exfoliating with Glycolic acid every other day and using Salicylic Acid 2% Solution every morning and evening and in that time I have had no new spots appear and my current ones are clearing nicely. I use just a normal cleanser and moisturiser with that & throw in a lot of green veggies and gallons of water but it seems to be working nicely. I highly recommend this product. I've been having issues with spots lately and have used salicylic acid based treatments in the past with good results, having just ran out I came across this and thought I'd try it out due to good reviews. I patch tested it on my arm, no issues. After the patch test, I put a thin layer on the areas where my spots were most prominent and then went to bed. When I woke up in the morning the patches where I had used this product were sore and stinging. You can imagine my shock when I went to the bathroom to find that my skin was bright red and blistered. After two days the blisters went down and scabbed over, but it left me with horrible dry patches of skin and well, scabs. It was only after some googling that I found I wasn't the only person to experience this, though mine was not as extreme it did mean I've had to cancel upcoming photoshoots. I understand that this works for some people, but you don't buy any product and expect to wake up with blisters on your face. Excellent product by The Ordinary. Does exactly what it says on the bottle. Sometimes I use this after cleansing my face just to prevent spots from appearing. Initially when I first used it it felt quite tingly on my skin however it has now gotten better and I don’t know how I lived without it. I am yet to find a Salicylic Acid with this level of concentration. Great product and amazing price will repurchase for sure. I have red Little spots on my face due to pimples and I decided to try it as the price wasn’t that high. I honestly tell you that it works! The spots didn’t disappear completely, but the redness was diminished and I am super Excited that my face looks a Little brighter. It is not that red anymore. It’s worth a try. If it turns out not to work for you, at least it doesn’t cost much money. Be careful with this one.. So after reading all the glowing recommendations and reviews I thought this might finally sort my skin out, which it did, for 3 days. My face was flawless, all my spots had disappeared and my complexion was just far more bearable to look at. After these 3 days I broke out like I’ve never seen before and developed chemical burns all over my face, even in my eyebrows where the product hadn’t touched. I was careful to introduce it slowly to my skin but still ended up like this. Very sore and very uncomfortable. Fair to say I’m really disappointed after having such high hopes. I’m just hoping these burns don’t scar my face. This product is absolutely my favourite. It really works! The only downside is that the colour has changed and it's more watery than it used to be. I can't seem to figure out why it became like that. Because it says on the bottle that it lasts 12 months and I haven't had it that long. I bought this product a few months ago because of the great reviews about it. However, when I first used my face reacted wrongly. My skin got a little bit burned, it was so dry and I was having breakouts so I stopped immediately. Recently I have been having a bad reaction, with huge spots, red and the ones that hurt and for some reason I did give it a go. 2 days. 2 days! And I got another 3 new spots where the product was. I hate it. Going straight to the bin. I started to use this and not after a long amount of time my skin began to tingle a bit , I assumed this was normal . One day I woke up to my skin breaking out and a weird scab like ‘thing’ on my face. I’ve obviously had to stop using this product,I’m not very happy- it looked worse then it did before. I don’t even have sensitive skin and I’m very confused why this occurred. I have sensitive acne prone skin and I use it as a spot treatment, it works at reducing inflammation overnight. I even used it on a cyst & it definitely reduced the size of it! Plus as you don't have to use too much the bottle lasts ages! Love this product I am now on my third bottle. Love this product I am now on my third bottle. I use AM and PM everyday and it has helped calm my acne ! It doesn't clear up my acne but has definitely helped with keeping the big nasty ones at bay. I have now started using this product along with the Glycolic acid toner which I also really like. After using this four 4 months now I would say give it a try and stick to it for a good month to see results! Please do a patch test! I did one on my jawline and waited 48hrs and had no reaction hence why I carried on using - some of the previous comments had scarred me. I was really excited to try this product after reading reviews. I purchased with the Niacinamide 10% + Zinc 1% and watched some youtube reviews before purchasing so thought this pair would suit my spot prone, oily but very sensitive skin. I don't know if I used them in the wrong order or if I shouldn't have used them both together straight away, but my skin got so much worse after using them. I would dab this on a spot that was appearing and the next day it would be a huge whitehead with smaller spots around it. After about a month of constant breakouts in different areas I stopped using it and the spots did calm down. Tried again and the same thing happened. I was aiming to clear my skin before my holiday but it did the complete opposite so I was really disappointed. I gave the bottles to my sister and she really loves it. Maybe it's me! I've switched back to my Simple routine but wouldn't rule out trying the routine again perhaps in a different way. Fast delivery. I've been using the product for over a month now and my skin has improved. It’s great for spots and keeps them at bay. It also has improved some scarring I had too. I’ll be buying again! I have always for as long as I can remember suffered from many many small spots and blackheads all over my face, which gave my skin a weird texture. I also have extremely sensitive skin so it was always very blemished and red. I’ve been using this for a couple of months now and my skin has cleared up so much I can’t believe it. The spots have reduced massively, and I no longer have blemishes at all, and even skin tone finally! It took about a month to start seeing results. I have TRIED EVERYTHING, this is the only thing that seems to work. I use Niacinamide 10% + Zinc 1% first all over my face, followed by a small amount of this all over my face, and apply a moisturizer after. Really good!! This product is even better than Ordinary serum with Zinc. Firstly, I used only Zinc and then I started using this serum and it helps me with my pores and oily skin. But I don't recommend this for dry skin type. A great way to get rid of my acne. Used it on my chin and my blemishes disappear like snow. I tried it once before and my skin didn't like it at all. About a year later, yesterday, I tried it again. My skin burned and I woke up with my face swollen and sore. It was as if my skin had just been lit on fire, so textured and oozes out liquid and has gooey scabs. Right now I'm so insecure and don't want anyone to see me but I guess it's my fault I just thought maybe I'd give it a fair chance but definitely never again! So, I have these dark spots and blemishes with acne spots on my forehead and around my cheeks that's been seriously been there for a month. I've been using it for 3 days and it already starts to fade! How fast is that! Buy yourself a bottle girls and guys. Wow. I love it! It improved the look of my skin radically. I also tried it on my boyfriend and the result was amazing. This is quite a strong treatment so I would only use it all over my face if I had built up a tolerance to BHA's, but I find AHA's work better for my dry, sensitive acne prone skin. However I find this very effective as a spot treatment, I use it along side the cosrx spot patches and I've noticed my spots going much quicker and it has drastically decreased scarring. I know I can put a good deal of this down to this product as I was using it for several months before purchasing the patches. I wouldn't use it alongside any other strong actives such as a strong vitamin C serum, but alternating in my routine when needed has been a miracle. Also the price can't be beat! Bought this to use on a breakout of acne around my jaw and chin. I’d heard of this brand a while ago and wanted to try, the price tag was a positive as well!! First night using spots looked visible reduced and I was impressed! I used it each night for 3 days the morning after I’d notice I had red patches and tight skin. I stopped using it every night and moved to every other night. Been using it a week and haven’t noticed a different to be honest, my spots have got worse, they have flared up more. I plan on using it in the hope that it would start to work. I’m going to keep it for another week and if no different try another product. It’s not the best product and would advise a patch text and I wouldn’t use all over face as it recommends. Dab on spots & use every other day or every 3 days. I also would only use PM, twice a day would be to much for my skin. I’ve always had very good skin but recently out of nowhere I started having blemishes and acne. I’ve tried so many products ( pricey ones too ) but it either made it worse or didn’t wok at all. When I first started using it about 2 weeks ago, I’ve started of using as described Am and Pm and then I reduced it to pm only. I’m gonna reduce it to 3-4 times a week soon as my face is all cleared up now. I’ve heard it does wonders for your skin with foundation too so I can’t wait to put some foundation on. It’s kinda drying but for the result I’m getting that’s nothing I’m concerned about, it’s now my holy grail 5 out 5 stars. I’ve been looking for years for products to help me control my acne, I’ve tried all sorts, ranging in price from £80 down to this at £5... and this along with the Niacinamide vitamin solution is an absolute god send. Within a week of using as described on the bottles, people were asking what I had changed because my skin looked so good! Highly recommend this product, especially for this price!! I have had mild acne for a while now, and have tried many different ways to get rid of it. I purchased this product and used it in the evening for the first time overnight, specifically on my problem areas. 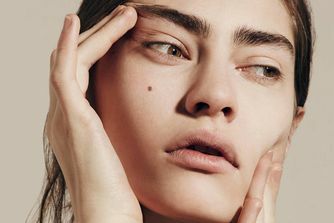 The next day I woke up with an unusual tightness in my skin in these areas where my spots had been and proceeded to wash my face as usual just with water. After washing my face, and then looking in the mirror, I had red patches of raw skin where my spots had basically been burnt off. I had basically had chemical burns on my face where I had applied this product, and over the course of the week/two weeks, my skin became dried and scabbed and peeled. It has been around two months since this has happened and I still have slight dark pigmentation in these areas, no texture but there are marks, which I’m not sure will go away. I do urge anyone thinking of using this product to be careful and perhaps do a patch test before using on your face! I noticed I didn't wake up as shiny in the morning and it helped keep my skin clearer, causing fewer breakouts overall. Great for My Milk Spots! I’ve always had milk spots on my forehead and under my chin and on my neck I had tried so many spot creams to get rid of them. This has most definitely gotten rid of nearly all my milk spots and still more are clearing up, my skin is so bright and cleansed after applying! I then top up with the buffet, perfect combo! I was using this as part of my daily regimen in the AM & PM along with hydraulic acid & vitamin C. At first it seemed alright then I started to break out really badly along the jawline and forehead and ended up continuing to use this product to counter the acne, only to make it worse and break out again. It eventually caused my skin to become dry and flaky, irritated and red, until I discontinued the use. Now my skin is slowly going back to normal and I’m gaining back the softness in my skin. Seems I’m not the only one from the reviews to get a bad reaction, I’d test this product on a patch of skin at first. Was a lil apprehensive as obviously it is worrying using acid - can’t lie dried out a tiny area underneath my eyes but didn’t need to use it there anyway so learnt my lesson to avoid this area? 1000% would recommend, the skin was noticeably smoother looking and the appearance of blemishes improved significantly. Thrilled with this product. Get yourself some quick. I bought this for a small scar on my leg and a small patch of ingrowing hair on my calf. I used this product for a few weeks now and I feel it’s made a visible difference to the new scar. It’s worked on the ingrown hair patch and made it less visible and less noticeable. I so wish it a miracle product and made the patch as smooth as the rest of my legs. As it has a drying effect I haven’t used it much on my face. I only really tend to use this at night when I remember and it amazes me every time. Any spots that are lingering under the skin are brought to the surface by the morning and it really reduces the swelling and redness. I used it for only two days. On the first day I could see my spots smaller however the next day my skin was burnt, dry and red and very sensitive. I am 14 and suffer from quite a bad acne so I decided to give this ago. At first, I thought it was fine but then my skin became extremely irritated and red and then spots turned into gooey bubbly scabs that were very noticeable and embarrassing. It took weeks for the scars to disappear and my skin is the same if not worse. I use this together with the Niacinamide serum and both have been a godsend to my acne. The serum resurfaces the skin without irritation. The Niacinamide serum is a bit irritating on my skin but this one is fine. It also helps to stop new spots from forming. I will be repurchasing. It definitely dries out the skin, but it does not get rid of pimples or acne. I've used a whole bottle and all that it has done is further increase the amount of oil my skin produces. I'm now so oily all the time. I guess the product prompted my skin to produce more oil to compensate. If you are to buy the product, make sure you only apply a small amount as it will dry the skin quite a lot. It doesn't have a very noticeable smell and is a sort of heavy consistency, that applies white but dries colourless. I have dry sensitive skin and I bought this product because of all the amazing reviews. To be honest, I haven't seen much of a difference as of now however, the product doesn't seem to be irritating my skin at all. I will just have to continue using it daily in order to see a difference. As someone who has struggled with acne for years, I have my fair share of blackheads, I’ve had many therapists try to remove them and I’ve had them that long skin has grown over the blackheads Used this for a few weeks and they popped out on their own! Can’t recommend enough. Skin type - combination skin/ hormonal spotty prone skin, with a form of very mild acne on my forehead which NEVER budges. I'm not usually one to post reviews but thought this may benefit someone. I'm used to having peels and using AHA's/ BHA's on a weekly basis. So I thought I'd use more than a couple of drops all over my face when using this for the first time...BIG mistake. I woke up the next morning with a sensitive slightly red/ blotchy face with a few singed burnt areas. I've previously used Paula's choice 2% salicylic acid treatment on a weekly basis which I wash off after 10 minutes, but it didn't particularly make a significant difference and was much more of a faff - which is why I decided to use a stronger version from The Ordinary. I can already see a small difference from just one use of this I.e my spots (that don't ever go) on my forehead have been reduced, my skin is a lot smoother across my cheeks and forehead, but other areas of my face are unfortunately burnt like my chin and nose! I will have another go and I am positive that next time it will go a lot better for me, as I'll use a smaller amount and be more cautious. I’ve been using this product for just under a week and already my skin is 90% clearer. I’ve battled with blemished skin due to medication for the last five years. I’ve tried just about every product imaginable and this combined with other The Ordinary products have proven to be the most effective and inexpensive. I’m amazed and I’m happy to say, I will repurchase. And trust me I have tried everything before trying this one. All the others dried and irritated my skin which just made it worst. This one is just right. Vanishes my spots almost overnight without irritation. Just perfect. The secret for it to work is to apply it topically to the problem areas only, not to the entire face. And to make sure that you are not allergic to aspirins, as Salicylic Acid is their main ingredient, and an allergic reaction would cause all the bad reviews I have seen. I use this in conjunction with the Glycolic Acid. I did purchase this product before the acid and I found that it reduced spots, especially small, stubborn whiteheads. These products together have literally transformed my skin and I can safely say I don't have the urge to try any other brand. Worst product I have ever used! The first time of using this product I saw no difference. The second time I used this product I had to miss 3 days off school due to huge scabby- very painful- blisters all on my face where I had applied the product. I had heard good things about this product and was filled with excitement to try it out but I was soon very disappointed. Honestly, if you have sensitive, acne prone skin do not get this product it only left my skin looking and feeling much worse! There is nothing very special about this product, despite the rave reviews I had read before. It stops spots from becoming painful cystic volcanoes, sure, but it's hardly the miracle solution it's been claimed to be. After using it for over two months, I find it has not been able to reduce spots when they appear, just slow their growth. You also want to be careful to apply a very small amount, either topically or over the whole face, as it dries out the skin enormously. The first week I used this product, it badly dried out one patch on my chin, causing it to look scaly and 'broken'. It took another week to look normal again. I have very sensitive acne prone skin used this for a few nights with no issues. However on about the 4th night of using I woke up the next day to my face being burnt and blistered in the areas around spots where I had used the product. I would be cautious using this product if you have sensitive skin as it is very strong and obviously did not agree with my skin and left it looking a lot worse then before using. I used this as it says on the label when I first got it. I only put it in areas where I was getting spots, and to begin with, it made one of my spots worse and extremely red and irritated. I stopped using it on that particular spot until it had healed but continued using elsewhere on spots. I found it works best for small individual spots rather than whole areas BUT it dries your skin out a lot so just be careful how much and how often you use it. Other than that I would say it is reasonably good. I find this works best for individual spots and on areas of blackheads which need treatment rather than on large areas/all over the face. Works great if you apply a really small amount directly to the spot. May be slightly drying on dry skin but when applying directly to the spot this shouldn't be an issue. Better than other spot treatments I have tried!! I'm gonna have to buy this in bulk ?! I have acne prone skin and this saves me when I have a breakout! In just a few days it reduces the appearance of blemishes, and I use it every other day to prevent any further breakouts. Don't listen to the label! So the label says 'use once in the morning and once at night', but I can safely tell you NOT to do this. This is what I did, and at first the results were great. My redness decreased and my skin was nice and smooth. However, after maybe three days, my skin was crusty. as. hell. I had to start moisturising my chin as it had become flaky. I do recommend this product however just beware because it can dry out your skin terribly. Maybe use once daily, or even once every two days. The only product I've used that actually stops spots from erupting and helps to keep the skin ones at bay. I use it occasionally all over if my skin feels it needs to be 'retextured' but generally as a spot on/ just on my chin and nose area and it genuinely works! I never, ever reach for this. I mean, it is salicylic acid, which is proven to do all the things it’s meant to do, and you couldn’t really review a brand of flour for not being floury enough, so I had to at least give it three stars. But it has never had any discernible effect whatsoever on any spots I’ve put it on, any blackheads, any open pores, oil on my T zone... nothing. This in conjunction with the azelaic acid suspension cream, this has done wonders for my skin. I had textural issues and acne prone skin and my skin is so smooth now. Hardly ever get a blemish anymore and my skin is just so glowy! This is the best Spot treatment I have ever tried. Unlike other treatments, it actually sinks into my skin. Other ones I have tried create a film on the skin, that looks like a dry patch under moisturizer and/or makeup and flakes of weirdly. Therefore you can use this during the daytime. I think it also efficiently helps with active breakouts and minimizing the chance of new spots and clogged pores. This worked nicely when I needed to get rid of any blemish I had, but did absolutely nothing for my clogged pores. So, it's good for spot treatment as it makes the blemish go away quickly, but if you need deeper pore exfoliation, I'd skip this and look for a smarter, more efficient formula. I bought this product under the impression that it would clear my skin quickly and rid me of my spots and dark blemishes that have been left behind from previous spots. I don't have acne but I have spot prone skin and get a new spot every few days. I used this product morning and night for one day. When I checked my skin the next morning it was red and covered in spots, big and small full of pus and left me looking terrible. Now I have dark red BIG spots on my cheeks which are taking forever to go. It may work for some people but if you have sensitive skin I would advise do not buy this product. I love this, it's such a good price for such a good product. I use this every day morning and night all over my face and it really keeps blemishes at bay and gets rid of any that do pop up occasionally. Will 100% be repurchasing.